Get Notified of New Matches Create a Wantlist for "Chasing Liberty"
No result found for "Chasing Liberty" in items you can appraise. Remove a selection (if any) from your bread-crumb trail to expand results. Read the Search Tips (below). Click here to start over. Setup a Wantlist for "Chasing Liberty" and we can notify you by e-mail when this item comes up for auction. 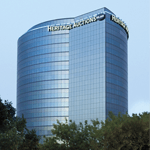 Contact us about consigning to our next auction. Guided navigation is the ability to add and remove keywords and categorizations of items to filter your results. As you add these filters, they appear in the breadcrumb trail above the search results. You can remove any filter from the breadcrumb trail at any time. Start your search as you've always done. From the home page, catalog home page, or search page, you can select a keyword and choose a coin type such as "Nickels" or "Barber Half Dollars", and then click "Search". Much of the time, this will be all you need! You can add a filter in the left column, such as "Category", "Current Bid Range", "Reserve Status", "Grade Range", and so on. Each time you make such a selection, the listing of results will become smaller, showing only those items that meet all the criteria you have selected. You can also enter one or more keywords, such as "The Godfather", if that will help your search. Sometimes a new selection will open up new sub-selection possibilities; for instance, once you choose to look for a poster graded between Fine and Very Fine, you can then narrow your search to a single grade. You can add or drop fields or keywords from your results at any time. Above the listing of results is a complete list of the filters you have selected. Click on any filter to remove it, and the page will refresh to show all items matching the new broader specifications. I don't see the category (filter) I am looking for in the Guided Navigation? The guided navigation section only lists things that contain results. For example, if you are looking at all items in grade Near Mint to Mint, then the category filter will only include categories with items in that grade. To expand your list of categories, remove the grade filter from your breadcrumb trail by clicking on it. Click here for a full tutorial. Using "quotes" around your search phrase can help narrow the results to exactly what you are interested in. A search for plastic man without quotes will return all results that contain both "plastic" and "man". A search for "King Kong" in quotes returns all results with the exact phrase King Kong, in that order. Try your search first without any search words in the optional search box, then narrow it down. This will produce more items, and once you see how the items are listed you can narrow your search results with more accurate search words. Search ALL or search by Category? If you're looking for only posters from Hitchcock films, by all means choose "Hitchcock" from the drop-down list. If you are looking for items that could show up anywhere, choose "All". Search just auctions, or just inventory, or both? The search from our home page searches everything we have to offer. Try that first. Think of the one search word that best describes the item you are looking for and search for that. Maybe it's a title (like Dracula), or even a date and title (1931 Dracula). When using more than one search word, try using "OR" and "NOT". When you use multiple search words, the search results are trying to find items with ALL of those words in the description. Try using "OR" and "NOT". If you're interested in all items from 1931 or relating to Dracula, you can enter "1931 OR Dracula". Or, if you are interested in items relating to Dracula but not from 1931, you could enter "Dracula NOT 1931. If you're looking for an item from a film with a long title, enter the one or two words from the title that are most unique. For instance, a search for "Mad World" is all you need in order to find something from "It's a Mad, Mad, Mad, Mad World." To find something from "The Good, the Bad, and the Ugly", searching for "Good Ugly" should be enough. When specifically looking for a poster from a rerelease, enter the date of rerelease as R-xxxx. For instance, if you're looking for a poster from the 1951 rerelease of Dracula, search for "Dracula R-1951". Avoid punctuation marks unless required. Don't use commas, periods, dashes, etc., unless required - such as in proper name (Spider-Man). Perhaps we don't have the item you are looking for now, but chances are we will soon. Add the particular item(s) you are looking for to our "My Wantlist" and you'll be notified as soon as it/they become available. If you would like further assistance, please don't hesitate to contact us.